A ferocious policeman, a belligerent bureaucrat, a hapless family man, a sappy lover boy or an insensitive comedian _ that’s all you can think of when it comes to the roles played by Mollywood heroes. Though we boast of the thematic variety in Malayalam movies it has seldom been noticed how we have been deprived of superhuman characters, leaving aside a handful of movies such as ‘My Dear Kuttichathan’ and ‘Saakshal Sreeman Chathunni’. Our superhuman links were limited to blood-sucking vampires wrapped in white saris singing and wandering around ghostly mansions at midnight. That’s where ‘Ee Pattanathil Bhootham’ comes like a whiff of fresh air. For the first time in several decades, one of our lead actors sneaks into the apparel of a bhootham (ghost). No prizes for guessing that the hot topic among movie lovers these days is ‘Ee Pattanathil Bhootham’. The film is set to hit the cinemas in the first week of July. Mammootty does a double act in the film, one of which is a friendly ghost. Unlike Batman, He-man or Superman, this bhootham is not likely to fight the demonic forces wielding supernatural powers. Our bhootham is a mere fantasy. But the movie breathes new life in to the long eluded genre of ‘superhuman’ heroes in the Malayalam film industry. Director Johnny Antony is optimistic that the movie will fare well. “It is probably the first time in Malayalam that a lead actor is donning the character of a customised superhuman. It will be an out and out entertainer. I am not sure if this will be a trendsetter. But ‘Ee Pattanathil Bhootham’ will be a step forward if a few more movies are made taking ‘bhootham’ as the benchmark.” The cast of the movie is the pivotal attraction. 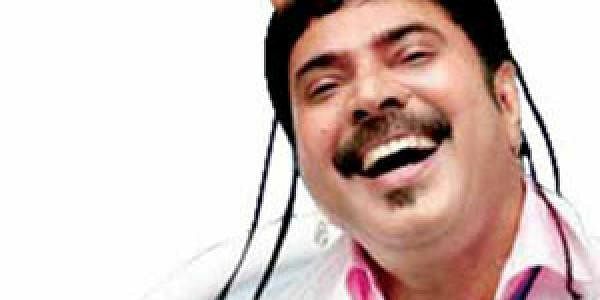 “Mammootty is an actor known for his versatility. He was excited about giving life to the bhootham. It will be a new experience for the audience watching the star do something he has never done before,” says the director. Similar experiments in the west with well-established actors as superheroes have gone down the drain like George Clooney as Batman. Will ‘Ee Pattanathil Bhootham’ live up to the hype? Let’s wait and watch how Mollywood reacts.